Let the show begin! – Last sequence of the opening song before the curtains open to the new story arc. 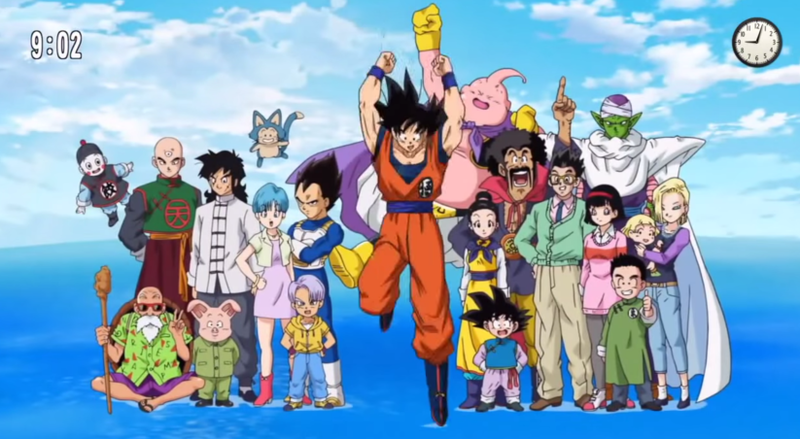 Dragon Ball Super is being broadcast since July 5th, 2015. After the movie Dragon Ball Z Resurrection (F「rieza」) earlier this year, the first new Dragon Ball episode aired in over almost 2 decades on Japanese TV since the beginning of this month. The story sets in sometime after Majin Boo‘s defeat. The earth seems to be once again freed from evil, but somewhere out in the universe a new, a mightier enemy is lurking to threaten this newly gained state of peace.